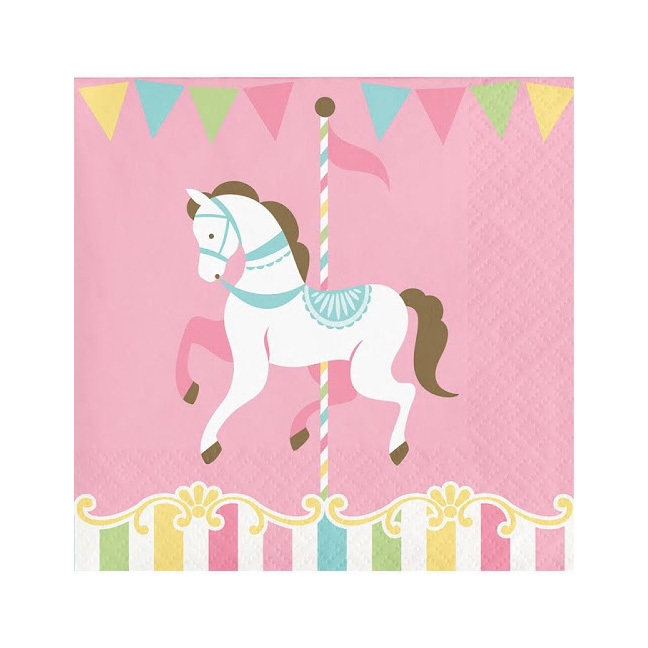 Pretty pink and cream Carousel cocktail paper napkins with a single horse. Features multi colored banner and striped edge. Open 9 4/5" x 9.75"